James Street in Morecambe. Picture: Google Street View. Police arrested a man in Morecambe and recovered numerous stolen items including an MBE medal. 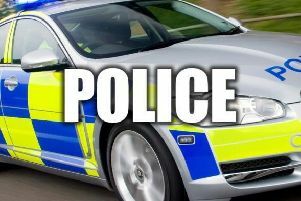 The man was arrested in the early hours of May 26 on James Street in Morecambe. Stolen items were recovered from him, including a Bosch PST 650 Jigsaw, a Bosch battery drill and charger, Jigsaw blades, a blue electronic drill (no make) and an MBE medal in a black case. As part of their enquiries regarding this case police would like to know if anyone is missing any of this property? If so, please ring 101 quoting log reference number LC-20170526-0299 or Crimestoppers on 0800 555 111.